Wijchen in the region to shop for the best place? Wijchen !? Yes, Wijchen. De Gelderlander explains how Wijchen comes to this title. Well, tell me what’s the story? What can we do in the run up to the holiday shopping to the phenomenon ?, we thought the editors of De Gelderlander. Of course, Internet shopping is popular, but there are still plenty of people who sometimes visit a town. 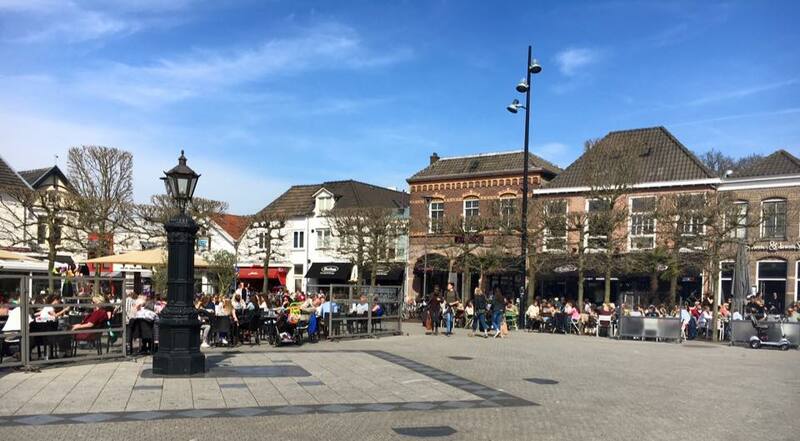 We looked in 24 towns and had them tested by Sandra van Maanen, a shopping addict freelancer: 21 pitches in the range of De Gelderlander, and three outside it. What about now with Wijchen? After the series ended, in late November, we have over dg.nl asked people what places had to be assessed. As rolled another four off the bus, so that eventually 28 sites were assessed. Then the public could vote for the best place in his eyes. There were over two thousand valid votes cast. Those votes counted for half of them in the final score, the judgment of Sandra van Maanen – the number of cases counted them – for the other half. Wijchen finished in first place at the second Winterswijk and Nijmegen on the third.